Old Grandfathers Are A Very Odd Breed. Old grandfathers are a very odd breed. They are, for the most part, more tolerant in their judgment of others because of their years. Yet, they are fixated with the age-old belief that, “They don’t make them like they used to.” Therefore, when an old dad looks a younger dad, he looks at him through the eyes of experience and with critical understanding. As a result, the old guys often shake their heads at the newer generation of dads. But there are six younger dads that this old man doesn’t shake his head at. He only beams with grateful admiration as he observers the wonderful outpouring of love and guidance each of them in their own way provide for their families. He has to thank God everyday that his grandchildren have a loving father like them in their home. I am talking about some men who deserve every honor a Father’s Day can provide. It would be an impossibility to show them too much thanks for the way they give of themselves and their time to their children. In a generation when many dads may be doing everything wrong, there are those who are doing everything right! They are loving, affectionate and take time for their children. These men just happen to be related to me. My son (in-law): Brandon Hartzell, and my four sons: Anthony Ballestero, Bryan Ballestero, Martyn Ballestero II, and Andrew Ballestero. These men all make me so very proud and thankful to God. I fiercely love them all! Thank you my Sons, for fifteen wonderful grandchildren!! I wish you a very Happy Father’s Day! A Nursing Father? Yes! That’s how Moses saw his own role as leader of the Children of Israel. He saw himself as a nursing father to them. They were often rebellious, unwilling, unbelieving and hard to control. Yet, he constantly nurtured and guided them. He mothered the people of God. Sure he depended solely on Jehovah to direct his every word. Yes he daily had to ask for Divine guidance and support. But it was up to Moses how and in what manner he dispensed the instructions of righteousness. He had to nurse them all into understanding and believing. He mothered them from a promise to a possession. They craved their old life in Egypt. They wanted idols like the heathen had. They fussed about Moses’ authority. Yet they were helpless without him. Numbers 11:12 Have I conceived all this people? have I begotten them, that thou shouldest say unto me, Carry them in thy bosom, as a nursing father beareth the sucking child, unto the land which thou swarest unto their fathers? Moses did not ask for this role. It was imposed upon him. God saw his heart and knew this would be the man who would nurse and nurture the Israelites. As a nursing father, he nurtured a nation into the Promised Land. As a nursing father, he provided guidance and strength for them during the harshest of times. As a nursing father, he gave of himself completely. As a nursing father, he pled for their very lives and survival before God. As a nursing father, if God had killed all the disobedient Israelites, he was willing to die with them. As a nursing father, he gave his very life for them. As a nursing father, he has been remembered by Israel to this day as their hero and their father. He nurtured them even though they were a thankless group of people. Moses went to school in the wilderness and trained to be a nursing father for forty years as a shepherd. As a shepherd under God, he provided guidance, protection and provision for Israel when they couldn’t take care of themselves. Job prayed and sacrificed every day to God for his children, just incase one of them might have sinned or thought bad thoughts. 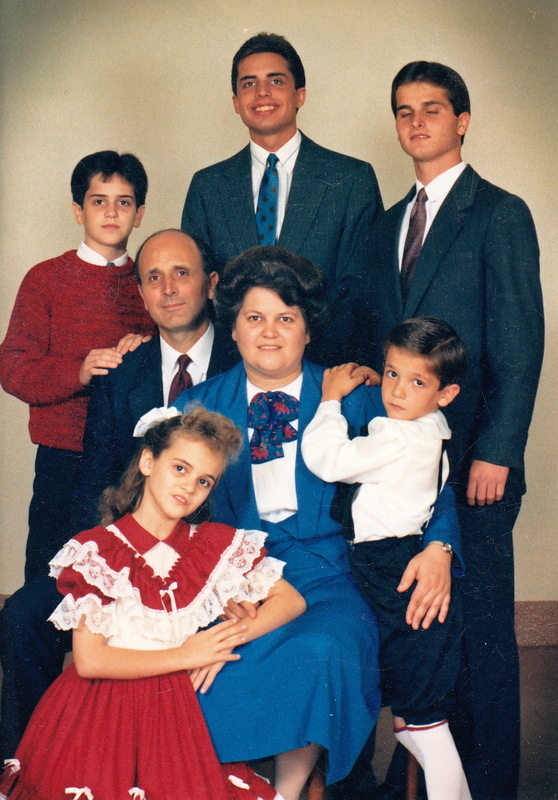 His life was an example of love, thoughtfulness and righteousness to his children. Joshua 24:15 … but as for me and my house, we will serve the Lord. As a nurturing father, he chose the proper life for his children. Nothing makes a nursing father happier than to know his children are living for God. There are a lot of pastors and teachers in the church world, but not many of them are fathers. A pastor is not called to be neither a politician, neither is he to be a lord over God’s heritage. With Divine guidance, a pastor is meant to nurture new babes in Christ into spiritual maturity. He teaches the flock over which God has given him the oversight. He cares what happens to every one of the flock. He prays daily for those in need. He prays in the altar with the wayward and the sinful. He goes a fast with those that need a miracle. He prays for God to give him a word of comfort for those in pain. He speaks to the wayward and directs them back onto the right way. He gives his life for those God has given to him. He doesn’t preach the love of God with a closed fist. He doesn’t try to run see how many he can run off, but how many he can get in. He doesn’t throw souls away. He will even be standing beside every one God has given to him in the Judgment giving an account. He is to all who hear him, a nursing father. 6. As A Dad, Are You A Nursing Father? Heaven gave you precious little lives to provide and to care for. A father is deemed to be a good father when he loves his children and provides a good home life and example for them. A father protects his children from all harm. He guides their little minds and their lives in the ways of right. He shows them how to live for God. He displays tenderness and affection to their mother and to them, and thereby defines to his children the role of a nursing father. He walks the floor with his fretting baby at night. As a nursing father, he provides for his family, regardless of how well he feels. As a nursing father, he willing sacrifices for his family. As a nursing father, he cries with his hurting children. As a nursing father, he comforts and holds his babies when they need him to. As a nursing father, he sometimes has to say no, to protect them. As a nursing father, he is not harsh, but loving, not weak, but gentle. As a nursing father, he is firm, but not mean. As a nursing father, he provides protection and safety for his home. Some fathers do not become involved in their children’s lives. What a loss and what a shame! Love them babies like your heavenly father loves you. Life’s greatest joy of fatherhood is the loving and the nurturing. Thank God For Nurturing Fathers! Every one is grateful for a kind word of encouragement. Dreams and ideals can be very fragile and easily destroyed, especially in the early stages of life. Most find it easy to gravitate towards those who look favorably upon us. Not many can thrive in an environment of constant criticism, hostility and contempt. I have never met a person sick enough to rejoice over discouraging someone from accomplishing that which is good. Neither can I believe a good father would be happy he made his child so discouraged they quit going to church. My mind cannot imagine a Spirit-filled father treating his children so horrible that they lose all desire to go to church because of him. No generation of believers has evidently been exempt from stupid acting fathers. It was a problem big enough to be mentioned In Paul’s writings to the Colossians and the Ephesians. No father in his right mind would say he chose to talk his child out of living for God. Evidently then, when strength turns into harshness, un-repairable damage could be done. There Is No Room In The Kingdom Of God For Harshness. Dads? We don’t show strength by being harsh (strict is what we might think) Harshness isn’t wisdom, it isn’t love, it isn’t mercy, it isn’t the fruit of the Spirit, it isn’t productive, and It isn’t pleasing to God. Harshness kills love, it kills respect, it kills hope, it kills family structure, and it kills every pleasant memory of childhood. One time, when my oldest children sons were up in their teens, I made a strict ruling in my home. Within two days I saw the hurt that my ruling had caused for all of my children. I called a family meeting and we all sat down in the living room. I looked at my five beautiful children and wife, and I began to be filled with great sorrow for what damage I had already done. Things would only get worse if I didn’t humble myself and repent now. I began if sorrowful tones: “I made a bad ruling two days ago that has brought much pain to my family. I am changing that ruling right now. I was very wrong. What I did has hurt you, the very ones I love. I am so sorry! Would you please forgive me? I never want to make a decision again that would ever bring pain to any of you. I love you! Next came tears in the room. Next came the hugs and smooches. Next came sweet comments, some said aloud and some whispered in my ear. Next came a room filled with seven teary-eyed smiling people expressing love for each other. Godly dads don’t discourage their children in living for God. Godly dads live so that they create a craving in their family’s hearts to live for the Lord too. If a man yields his strengths to God’s ways, submitting himself and his emotions. Then will he manifest the Fruits of the Spirit, transforming his home into a place of comfort, peace and delight. Daddy? Go Make This A Very Happy Father’s Day For Your Family!